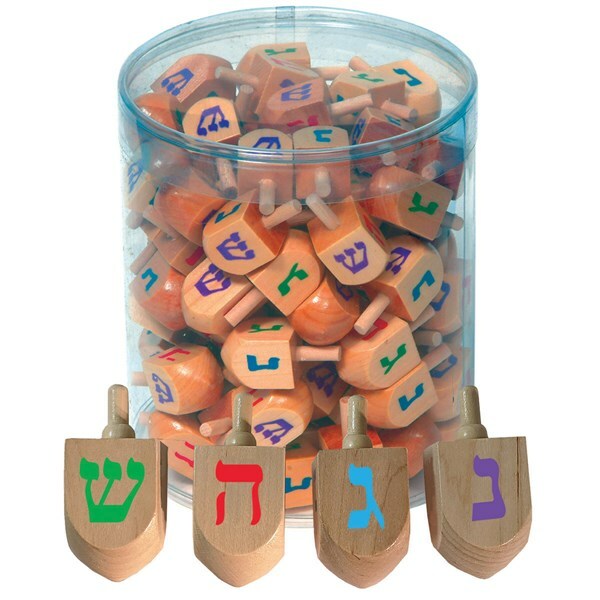 Natural wood dreidel with multi-color (red, blue, purple, green) letters. Loose in plastic tub. This our most popular wooden dreidel.